Street Art - two street art murals have been created on the pillars of the Joy Baluch AM bridge. One is of the former mayor Joy Baluch AM and the other was created by an international street artist and local students. Mosaic benches - in front of the institute building in Commercial Road. 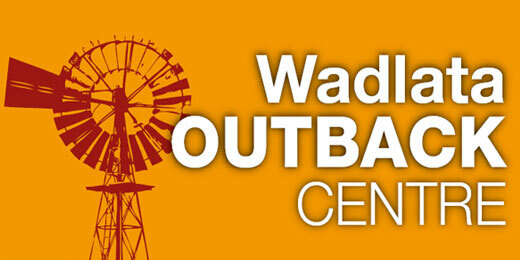 The Camel - Wadlata Outback Centre pays tribute to the ships of the desert. Railway Station Murals - interprets the Aboriginal and European history of Port Augusta. 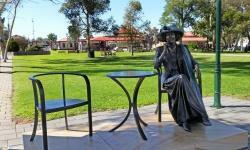 A life-size bronze sculpture of the late Mayor, Joy Baluch - Gladstone Square. 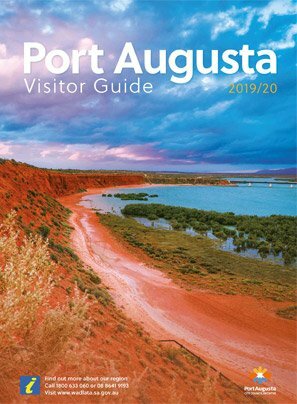 Art in the garden - the Australian Arid Lands Botanic Garden features a number of permenant sculptures in the gardens surrounding the visitor centre.